With its red-hot rivers of lava and clouds of ash, Hawaii’s Kilauea volcano has captured the world’s attention. But how dangerous are such eruptions? Kilauea is one of the world’s most active – its present eruption began 35 years ago, but there has been an increase in activity in recent weeks. Its lava flows have quite literally been erupting in people’s backyards, but thankfully only one serious injury has been reported – a man hit by projectile molten rock as he sat on his balcony. This could appear to suggest that volcanoes aren’t all that dangerous, but much of the world’s population lives close to an active volcano – and many of these are much deadlier than Kilauea. Since the year 1500, about 280,000 people have been killed by volcanoes – 170,000 of those by just six eruptions. At present, about 800 million people live within 100 km of an active volcano – a distance well within reach of potentially lethal volcanic hazards. Of these, about 200 million are in Indonesia. As populations continue to grow, it is likely even more people will set up home close to one of the world’s 1,500 active volcanoes, which are spread across 81 countries. “Active” does not mean that all of these volcanoes are erupting, but that we think they have been recently active and are capable of new eruptions. Such lava flows don’t kill many people. While it burns and buries everything in its path, lava – molten rock that glows red-hot, with temperatures of about 1200C – moves slowly enough that people can normally just walk away. And when it reaches the ocean it forms unstable new land and laze – plumes of steam, hydrochloric acid and glass shards. 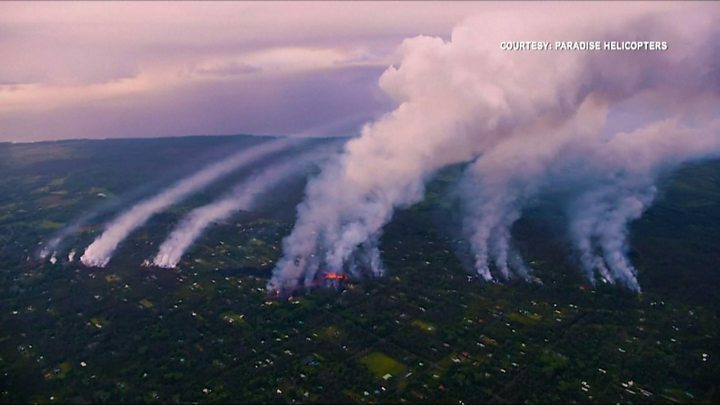 Another hazard in Hawaii is sulphur dioxide, one of several gases that can be released by volcanoes, even when they’re not erupting. Most people killed by volcanoes are the victims of pyroclastic flows and lahars – volcanic mudflows, packed with debris – which have been responsible for about 120,000 deaths over the last 500 years. Satellite monitoring allows some observation of even the most remote volcanoes, but only about 20% of the world’s volcanoes have any ground-based monitoring. Of course, volcanoes don’t need to kill people to have a significant impact. Even when they appear to be sleeping, we’d be wise to keep watching the world’s volcanoes. Dr Sarah Brown is a Senior Research Associate in Volcanology at the University of Bristol. She has a particular focus on volcanic records, past activity, the impact on people and communicating risk. 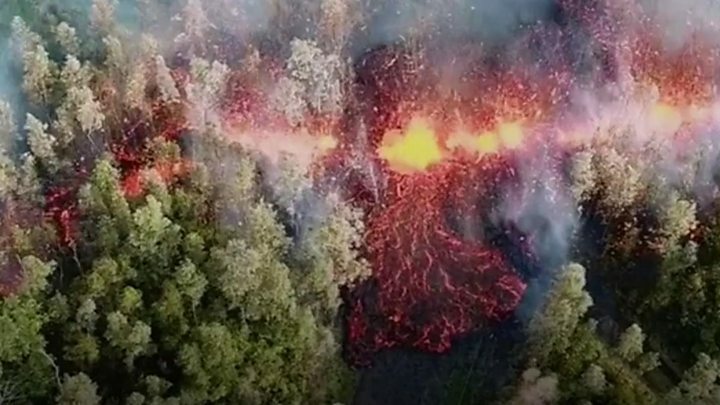 Credit: Hawaii volcano: How many people do volcanoes kill?